The Obama administration issued its support Monday to reverse a recently enacted ban on unlocking cellphones, echoing many customers’ calls to allow mobile devices to be used across wireless carriers without risking penalties once any contract promise is fulfilled. “If you have paid for your mobile device and aren’t bound by a service agreement or other obligation, you should be able to use it on another network,” wrote R. David Edelman, senior adviser for Internet, innovation and privacy at the White House, on WhiteHouse.gov. His response was drafted after the White House received more than 114,000 petitions on its website in support of reversing the ban, which became effective Jan. 26. Mobile phones in the U.S. are generally sold “locked,” making them usable only with service from the wireless carrier that is associated with the device, and are typically sold at a price subsidized by that carrier — unlike in most other countries. In the past, customers wishing to keep their device but switch carriers unlocked it themselves or with the help of an expert by punching in a code assigned to the device. The wireless carrier industry has fought to ban the practice, arguing that unlocking phones violates the carriers’ copyright of the computer programs used to lock subsidized devices and are needed for carriers to be able to subsidize the upfront cost of the phone. 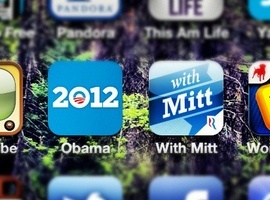 Could the 2012 presidential race be the “apps election”? It’s more than an accidental typo on an iPhone application. It’s a glaring distinction between his social-media presence and that of his rival, President Barack Obama. 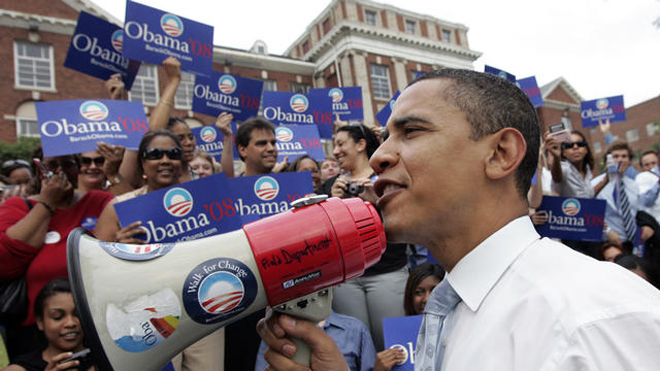 From the beginning, Obama has ruled the political world of social media. He has the most fans, followers or likes onFacebook, on Twitter, Google+, YouTube, and even Myspace(although he hasn’t used it in a year, like the rest of us). The Obama 2012 app came out late last year and provides latest news about the campaign, photos and video, event listings and other information about the 2012 campaign. It also welcomes input from its users, as seen in the welcome message you receive soon after downloading it. When the British Foreign Office released thousands of colonial-era files Wednesday, one name stood out – Barack H. Obama, father of the United States president. The elder Obama was on a list of names in a secret file about Kenyans studying in the U.S., the Guardian of London reported. The file lists Kenyans, including “OBAMA, Barrack H,” who, at the age of 23, enrolled at the University of Hawaii. In 1959, when Barack Obama Sr. had gone to study in Hawaii, U.S. officials told the British they worried that Kenyan students had a reputation for being “anti-American” and “anti-white,” the Guardian reported. Colonial administrators in Nairobi claimed that Kenyans who studied abroad were “academically inferior” to those who studied in Africa. They also criticized the African American Students Foundation – supported by actor Sydney Poitier and baseball star Jackie Robinson – which gave Obama a grant to study.